"Sales and Technical Service Direct from the PORTADRILLMINI ® Inventor." ! SEE THE PORTADRILLMINI ® DRILL UNIT IN OPERATIONAL VIDEO HERE !! DRILL UNIT WORK SHOP BY THE INVENTOR. (BEWARE OF UNAUTHORIZED MANUFACTURERS AND COPYCAT DRILL RIGS OF THE PORTADRILLMINI ® PATENT # 6315059). 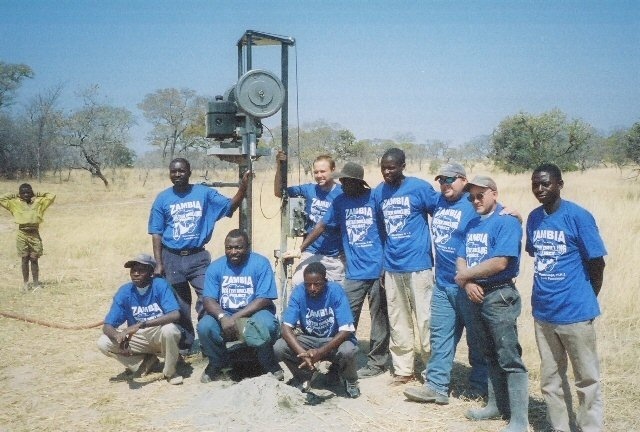 Technical Support , Sales Support , Drill Training, Technical Training , On-Site Location Labratory Water Testing. Approved by World Health Organization Standards. On-Site Drill Location Total Coliform and E.coli Testing Service. Drilling Project Coordination and Planning , Project quote coordination and cost analysis. Equipment Lease / Finance Programs. Sales and Technical Service Direct from the PORTADRILLMINI ® Inventor. Interested companies and individuals that would like to participate as dealers or as Stocking Distributors for A & D Drilling Supply Corporation products please contact ebradytax@bellsouth.net for details. Material and Equipment Acquisition- Scheduled Shipping.